Chatwing made a complete overhaul of its site as it finally switched to Wordpress. Its new and professional look will signify the chat software’s even better performance and service to its growing subscribers. 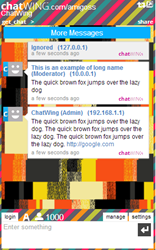 With the new look, Chatwing has also made some changes to certain processes. The viewers won’t find the Official Chatbox in front of the page as it is moved on the Chatwing’s blog section. They can access it by pressing the Demo or the Blog button. For the first time users, they can register by pressing the Try Now button. They will be redirected to the registration page and will be supplied with a very simple registration form to be filled up. If they want to get the Android app, they’ll need to scroll down and find the Android App on GooglePlay button. The same as the website chat software homepage, the rest of the pages have also been completely revamped, especially the Customization Page. The change will make it easier for first time users to modify their chatboxes without being overwhelmed by the number of Chatwing’s sophisticated functions. 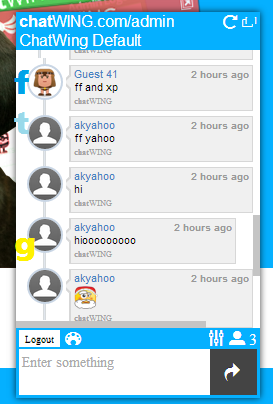 And through Chatwing’s blog, the users can get a lot of ideas concerning their chatboxes, especially when it comes to customizing. Just like the site, the chat software has also been into a lot of improvements and is still undergoing it. More features have been added, while bugs and glitches have been remedied. Now that Chatwing has already released its Android chat app, people can start chatting with each other on their mobile phones no matter where they are. And just like the chat widget, the app is also free.